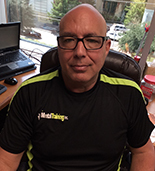 Mike Margolies is a Sport Psychology Consultant, Certified Mental Trainer® (CMT), Author, and Professional Speaker. Over the past three decades, more than 2,000 athletes from around the globe have sought out Mike to help them reach their potential. His clients include professional, collegiate and youth athletes in every sport. Mike’s professional and elite athletes include world and even Super Bowl champions. He has taught at four Universities and completed research at the United States Olympic Training Center. His new book is called The Athlete Within You- A Mental Approach to Sports and Business. He currently works with individual athletes, teams and businesses around the world, both in person and via SKYPE. Mike is based out of the DFW metroplex.